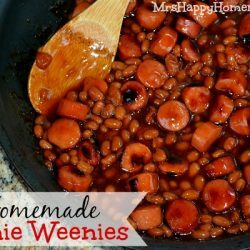 These Homemade Beanie Weenies are absolutely yummy – WAY better than canned beanie weenies too and nearly as simple too! Today’s recipe is brought to you all by request of my lovely 12 year old daughter – because she begged me to post it. It’s her favorite meal of all. She absolute begs me for it, and I don’t mind making it since it’s no sweat off my back. It’s absolutely fool-proof, totally easy, and incredibly budget friendly too. Plus, it tastes much, much better than those little cans of beanie weenies. 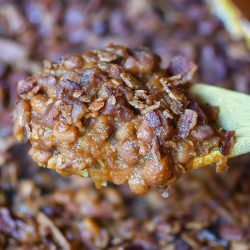 You will rarely find me without a can of Bush’s Baked Beans in my pantry for the sole purpose of this little recipe. Dinner arrives on the table in record time with minimal effort, perfect for a quick homemade meal after a long day’s work – or when you don’t have much time. Heck, it’s even good when you do have plenty of time because it gives you more time for you. 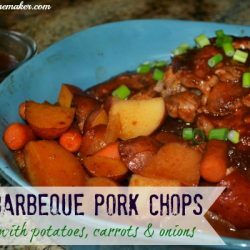 It can be prepared on the stovetop in about 15 minutes or so, or you can even pop it in the crockpot on low for 2-4 hours. It’s easily doubled & tripled for larger groups of people. And it’s super cheap to make – depending on the prices/sales in your area, it costs about $0.75 or less for each serving. Budget friendly is an understatement! 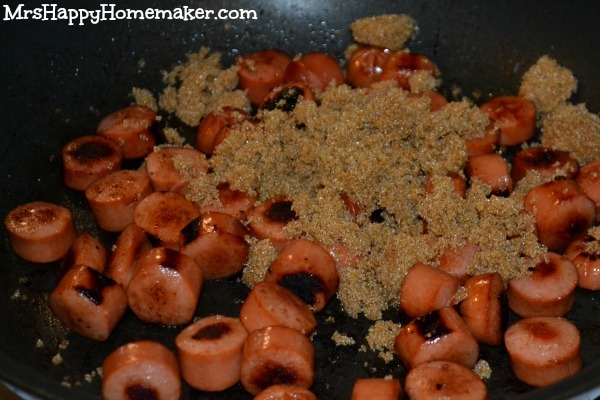 Turn the heat to medium high, and cook your weenies in a hot skillet until browned. Sprinkle 1/4 cup to 1/2 cup of brown sugar on top of your weenies, depending on how sweet you want your finished product to be. I like mine pretty sweet, so I use 1/2 cup. Pour on a can of Bush’s Baked Beans. I like the Country Style version myself the best, but you use your favorite. Let the mixture cook on low/medium heat for 15 minutes, stirring often – for flavors to meld. 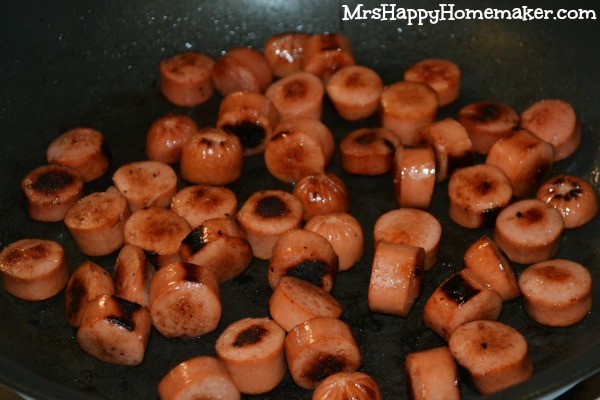 In a hot skillet, cook the sliced hot dogs until browned on medium heat. Sprinkle on the brown sugar, and stir the hot dogs. Pour in the can of Bush’s Baked Beans. Stir; cook on low/medium heat for 15 minutes. Alternate cooking method: Combine all ingredients in a crockpot. Cook on low for 2-4 hours. This recipe is easily doubled & tripled for larger crowds. looks yummy! thank you for the giveaway! Awesome recipe ! I used to love Beenies & weenies ! My kids just don’t know what they are missing ! I always keep Bush’s beans on hand! Thanks for sharing the recipe. 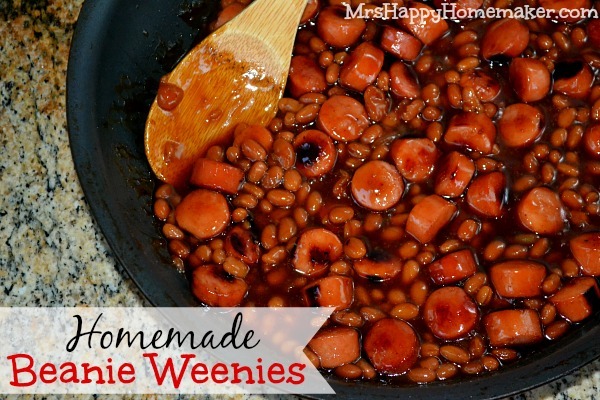 Sounds good, we love homemade beanie weenies, but never made them this way…will def be trying it! 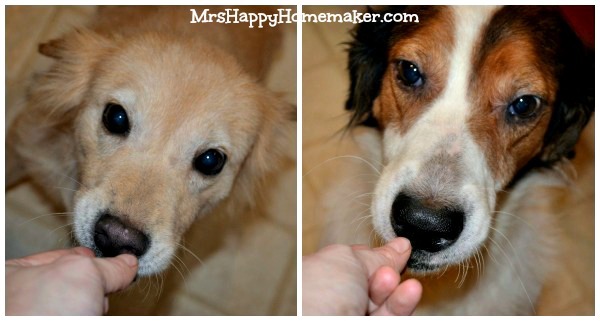 Bush’s baked beans are a family favorite. My husband loves beenie weenies and I am definitely going to make this for him. He usually just has a can of them and they wouldn’t be near as good as this is! Thank you for a wonderful recipe, it will make his day when I make this! 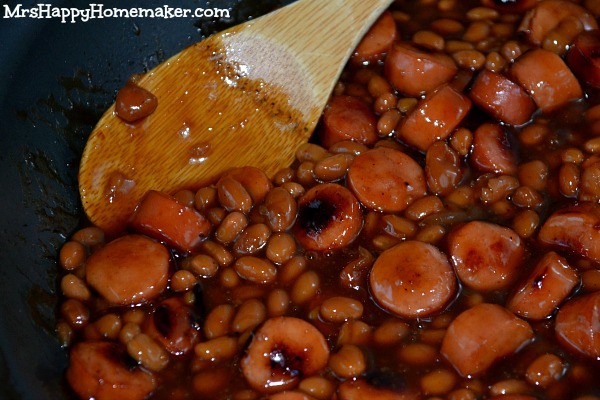 My whole family loves beans and weenies!! Love this recipe!! Yum! I add a little ketchup and mustard to mine too! My kid loves Beanie weenies! The husband seems to like it too! Thanks a bunch! I love “Semi Homemade” recipes! REminds me of when I was younger! bush’s baked beans for sure.. love them! Glad to have found your site – love the variety of posts! Comfort food! 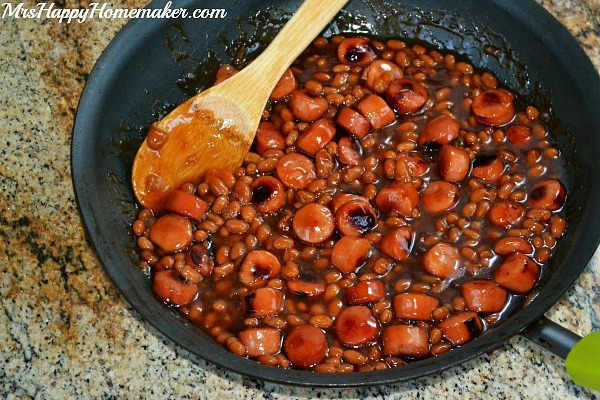 Reminds me of when I was a little girl and fixed beanie weenies for lunch on Saturdays. 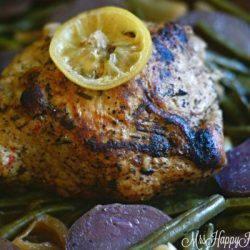 Recipe looks yummy and thanks for the chance to win the giveaway!!! my fam would like this for dinner! Good,good and mo good! Grew up on hot dogs n beans, this is better than my Mom’s! There is way too much sugar in this. Why add the sugar. 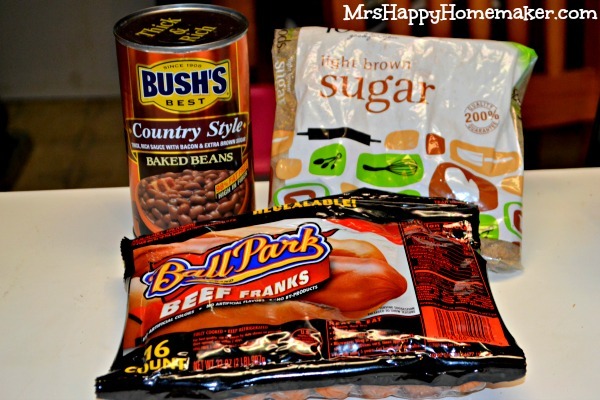 Baked beans or pork & beans are already sweet enough.